Handily find the stationery you are looking for with the Zippered Pencil Case. It is a compact case to keep pens, pencils, scissors, and erasers together. Handily find the stationery you are looking for with the Zippered Pencil Case. It is a compact case to keep pens, pencils, scissors, and erasers together. It has reinforced metal holes that fit most standard 3-ring binders. It is made using 600D nylon. It is available in attractive shades of lime green, royal blue, red, or black. 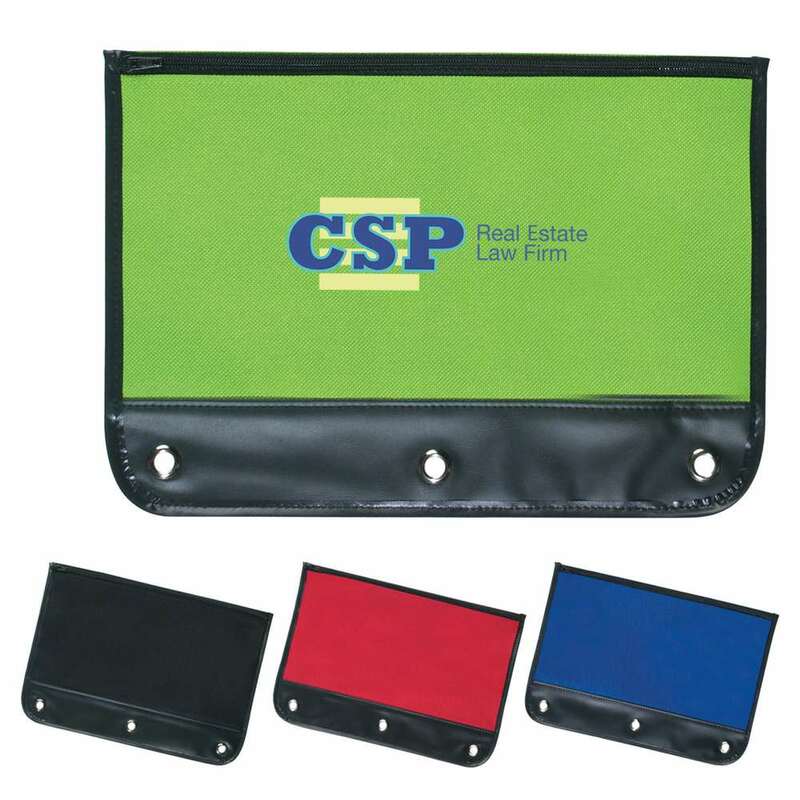 Imprint your company’s logo on this pencil case and maximize the visibility of your brand. Use it as a giveaway at schools, colleges, and offices and successful add a new chapter to raising your brand awareness.